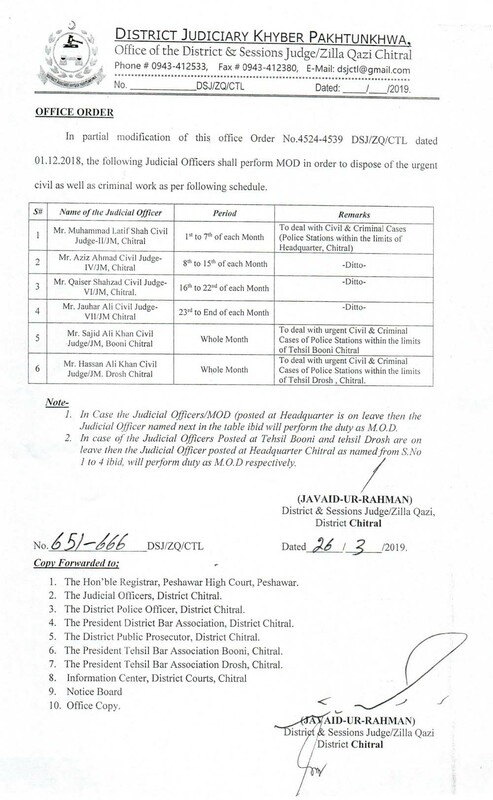 MOD schedule of Judicial Officers in order to dispose of the urgent civil as well as criminal work. © District Courts Chitral. All Rgihts Rerserved.